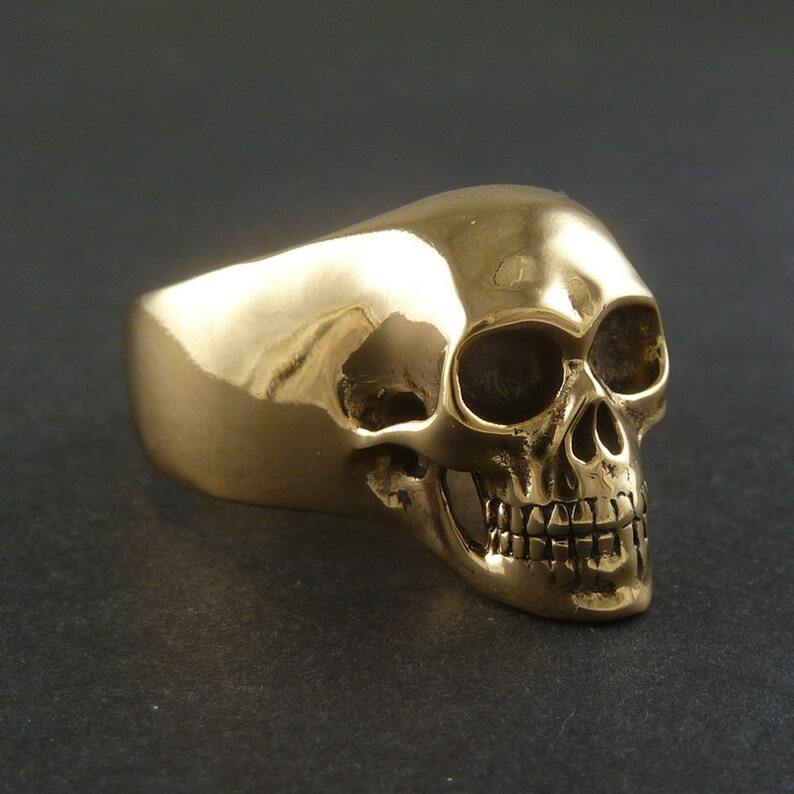 A Statement Ring that demands attention - Death, after all, ain't known for taking no as an answer - My Skull Ring in solid bronze. Put simply, you need this in your life. It's taken well over a year, but my wife and I knew when we set out to make the best goddam skull ring we could that it might take a while. And it did. We wanted to make a skull ring that stands tall with the best of them, and one that will become a treasure and an heirloom to be proud of, and we hope we've pulled it off. 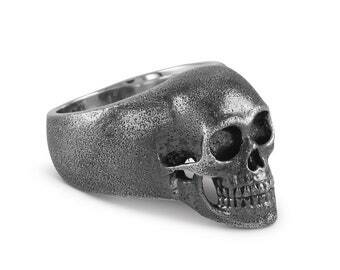 As far as anatomy is concerned, The Lost Apostle Skull Ring is as detailed as any you'll find. I really wanted to make sure the balance and proportions of the skull flowed perfectly with the ring itself, and at the same time make sure that every tiny detail of the human skull's anatomy captured. Look closely and you'll see each tooth is carved, the jaw bone tucked away behind the zygomatic arch and the nasal bones all beautifully detailed. Even the back of the jaw and teeth are carved, as is the roof of the mouth, showing the palatine bone and nasal apertures. Whoa. 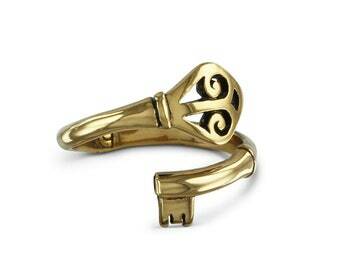 The ring is completely hand carved and cast in solid bronze. Solid. Unlike some skull rings, this one ain't hollow - the back of the skull is solid so this thing has a weight on it enough to make a grown man weep, and the ladies tremble with the unshakeable feeling that good as things may have been, they just got a whole $#!%load better. 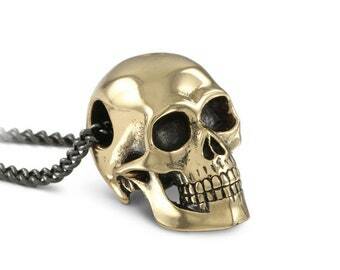 The skull is finished and polished entirely by hand, and a patina applied to bring out all the tiny details. Finally a special process is applied to prevent this ring from tarnishing. They'll fight over this ring when your pushing up the daisies. The skull itself measures 3/4" from the bottom of the jaw bone to the top of the cranium and right now is available in mens and women's sizes - no-one need feel left out. Don't forget to click the little heart over there if you like this item so you can find it again! And there's the facebook "like" button over there too to share the love! I'm insanely in love with this ring!!! Its perfect!